The best training tool for Professional Race Drivers and Enthusiasts – simulate real Formula 1, LMP1 or GT3 race car steering forces up to 30Nm. Feel the precision and detailed feedback of the Direct Drive Electric Motor. Compared to commercial Sim Racing Steering Wheel Systems (Logitech G29, Fanatec Clubsport or CSL, Thrustmaster T300 etc.) there is a significant improvement in quality, sensations, speed and strength of force feedback. Augury Direct Drive Wheel (OSW) is the best training tool for Professional Drivers and Sim Racing Enthusiasts. It offers the best of the class immersion. You can simulate real Formula 1, Indy Car, LMP1, or GT3 race car steering forces up to 30Nm of torque. Smooth, precise, reliable and compact, the high quality servo motor provides up to 30Nm (MiGE 130ST-M15015) of torque and has an incredibly high resolution feedback system. Real world steering forces can be translated to the driver in a powerful yet controlled way. A lower strength motor (20Nm – MiGE 130ST-M10010) is available. SimuCUBE is based on the smoothest, strongest and fastest motor controller on the market, IONI Pro. This allows using direct drive motor for the actuator yielding unparalleled fidelity and torque dynamics range up to 30 Nm. IONI Pro and SimuCUBE produces torque effects, such as friction, damping and inertia completely on a real-time hardware with over 1000 Hz update rate. This yields unforeseen realism through the simulator. Feel every detail. 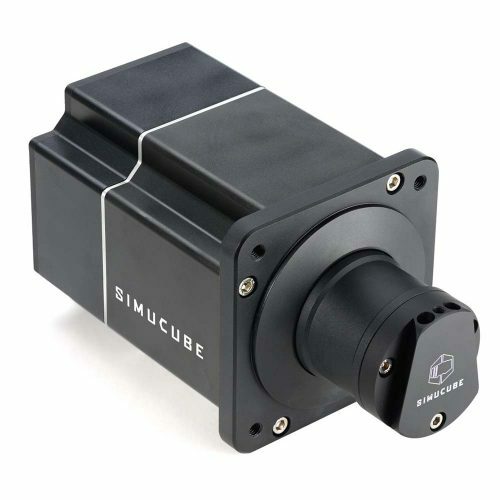 SimuCUBE has been constructed only from the components of the most reputable suppliers like Texas Instruments, STMicroelectronics and Murata to guarantee the maximum service life. Also integrated surge protectors exceeding the requirements of IEC 61000-4-2 ESD standard will prevent damage induced by the outer world. The system is very easy to setup and use. 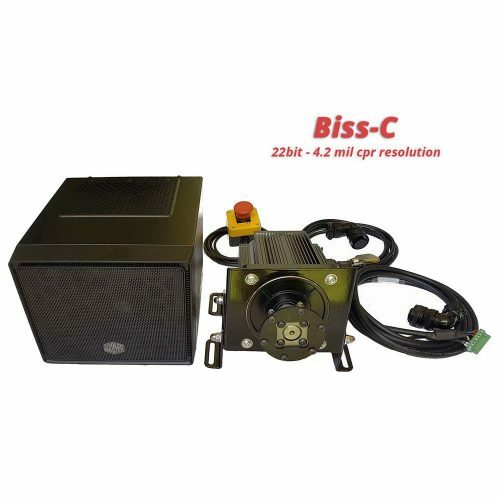 After the motor is mounted and all the cables are plugged in you can switch it on, install the SimuCUBE software which will guide you through the simple setup process. The design of our system could allow almost any amount of lock imaginable. 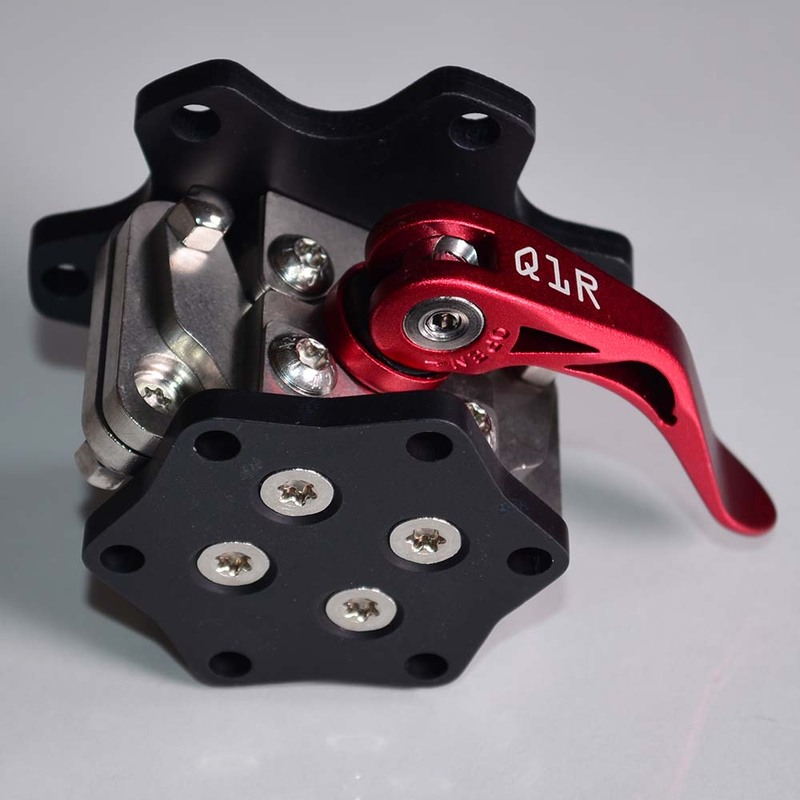 The standard motorsport bolt patterns featured on our shaft Quick Release SRC allows you to attach almost any steering wheel or adapt a steering column to fit. The compact servo motor is separated from the power/control box by two 3 metre cables allowing it to be mounted remotely at the end of a cockpit or frame with the box hidden away from view. We can use the mentioned force to calculate the torque needed to turn the wheel. The 2012 Indy car weights 4,694 pounds (incl. driver). The 10-inch Firestone slicks are pushed to the track by another 2800 pounds of downforce. We estimate the wheel diameter about 250mm. What we end up is about 19,5 Nm of steering torque during the 150 mph Turn 1 at Mid-Ohio racetrack. For a realistic simulation of the 2012 Indy Car, the smaller 20Nm Augury Direct Drive Wheel (OSW) would be strong enough. We are using the available Formula 1 Tire model data from the beginning of the 90s. We can roughly estimate the steering forces to be in the region of 22-30 Nm, depending on several parameters: CG height, RC height, front to rear suspension stiffness, weight distribution, steering rack ratio and steering wheel diameter. Formula 1 tire data from the beginning of 90s. To be able to realistically simulate a Formula 1 race car from the 90s, we would need the 30 Nm version of the Augury Direct Drive Wheel (OSW). Augury Direct Drive Wheel (OSW) is delivered mounted, configured and tested. Ready to connect. Warranty: 24 months on all electronic parts. 12 months in the electric motor. INTERNAL AND EXTERNAL CONNECTIONS AGAINST EMIS (electromagnetic interference). The Augury Direct Drive Wheel (OSW) electronic box as well as the layout of the components and wiring, have been designed for the elimination of EMIs, and any type of electronic noise, that could affect the operation of the OSW. 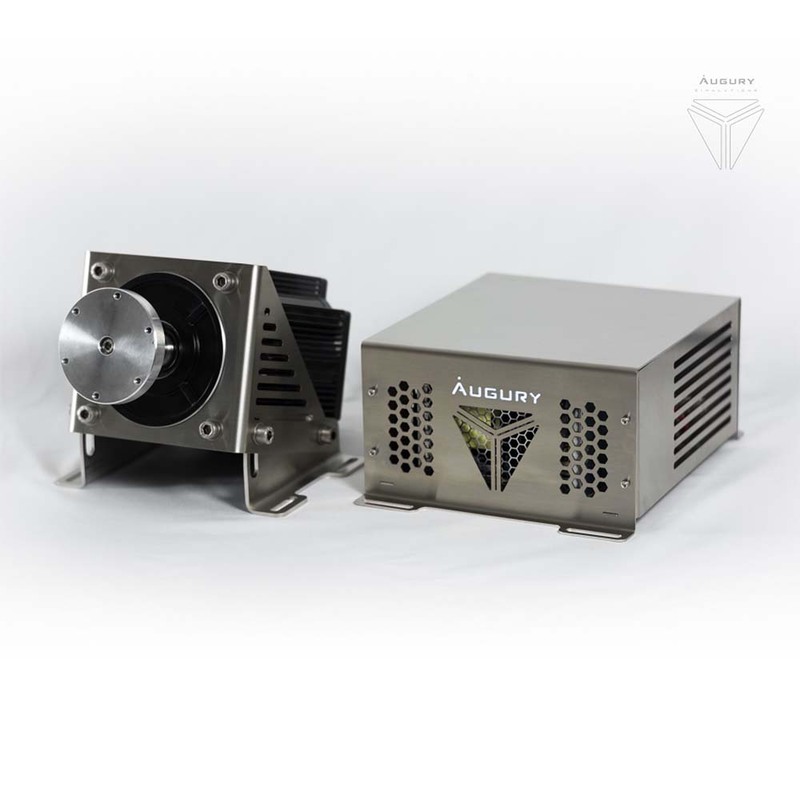 The Augury Direct Drive Wheel is shipped with the firmware installed to be used with the SimuCUBE software. Start using your Augury without modifying any type of parameter. What is a Direct Drive Steering Wheel? Is A Direct Drive Wheel Worth The Money? Dunajská Streda, only 8km from Slovakiaring race track. professional racing car drivers and motorsport enthusiasts. for the most realistic and immersive experience you can get at present.